This contemporary renovation of Lexington’s Fire Station #5 on Woodland Avenue really brought the building back to life! Churchill McGee demolished and rebuilt the copper box gutters. 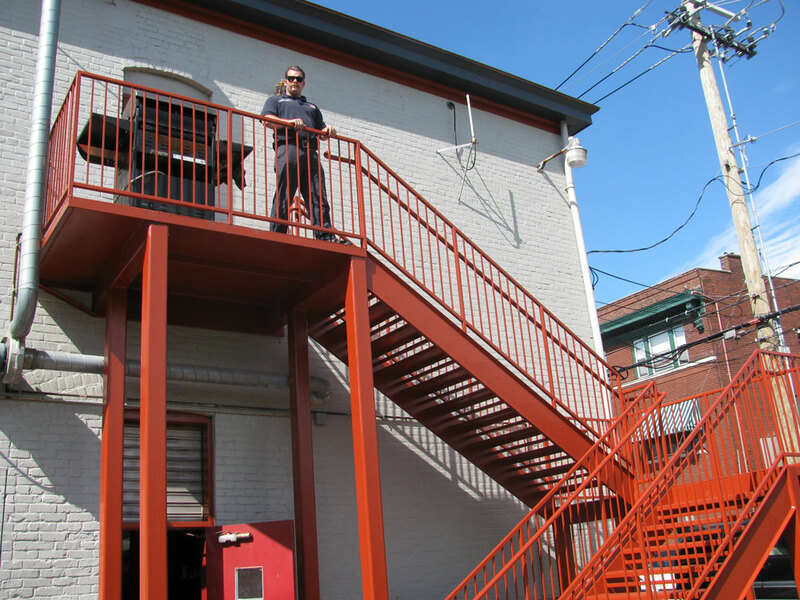 The entire exterior of the building was tuck pointed and re-painted, along with the back staircase featured to the right, for a brighter and cleaner appearance. Numerous truss repairs were also made in the attic, updating the historic structural system.